COMMUNITYWISE provides some equipment available to rent. These items include digital projectors, sound equipment, popcorn maker, bike trailer and festival tents. Our member organizations often have their own equipment for rental as well, so if you’re interested in something specific, contact the admin offices for more information. There are two primary types of Membership with COMMUNITYWISE. Rent an office space in the building, book common rooms and have a mailbox. Book common rooms, and may rent a mailbox, can be on the waiting list to rent, share or sublet office space. Understand and embrace that they are joining a community. In order to become a member of COMMUNITYWISE, interested groups of organizations are encouraged to visit us, meet with staff to talk about your needs and supply all documentation required. If your organization is interested in renting office space, you can apply for membership and you can then be placed on a waitlist. Membership applications are reviewed on a first come, first serve basis by the Membership Committee. COMMUNITYWISE supports diverse organizations, enhancing their collective impact on society by providing affordable and inclusive community space. To achieve equity and the health of Society and Enviromnent with diverse and collaborative efforts. We value COMMUNITIES; relationship, connection, engagement and collaboration. 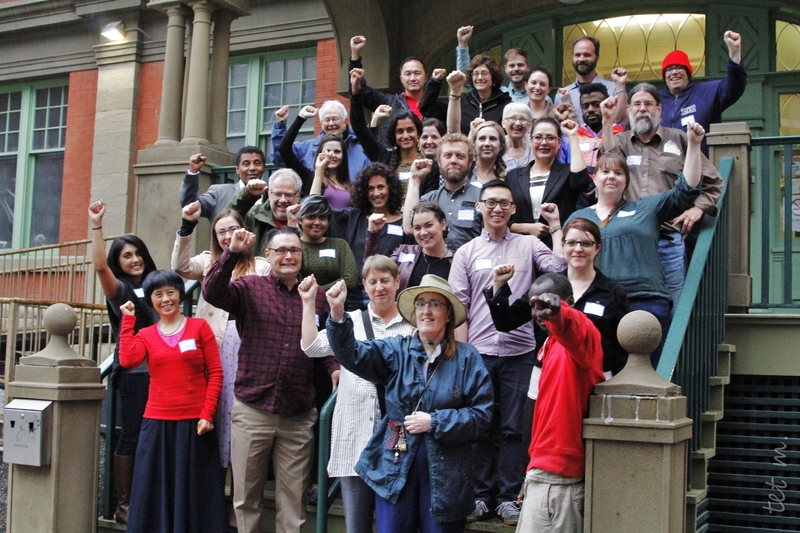 We value DIVERSITY of voices, practices and cultures, representing individual uniqueness and collective wisdom. We value SUSTAINABILITY in human and environmental interrelationships, for a prosperous future of our communities, future generations and the Earth. We value ACCESSIBILITY in providing access to space and resources by reducing barriers. We value HERITAGE; learning from the past, honouring culutral legacy in Calgary through the preservation of historic space. 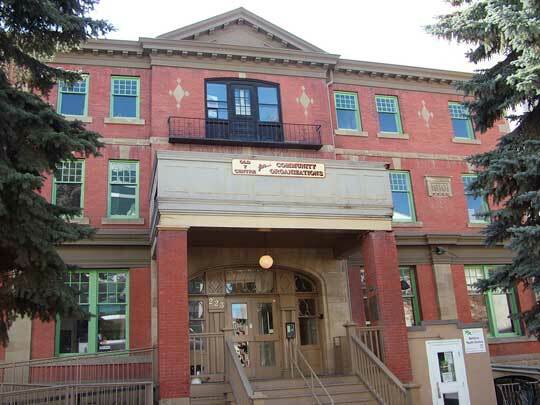 It has been said that the building is the oldest purpose-built social service facility in Calgary. It has served social groups throughout its history, beginning in 1911 as the YWCA. It was created as a hostel to address the needs of single, immigrant women, new to the city. It was a state-of-the-art building with Georgian revival architecture, was home of the first Girl Guide troop west of Toronto, and acted as an employment bureau. When women gained the vote, it hosted classes instructing on the process, and it regularly offered other activities including swimming lessons. The original swimming pool was closed in 1941 and the space was used as a dormitory during World War II. In 1971, the City of Calgary took possession after the YMCA completed a new facility. In 1978, the building faced serious threat of demolition, but thanks to the valiant battle waged by its tenants, and the support of the Calgary community, the building was saved, renovated, and handed over to the tenants for a lease of $1.00 per year. In 1979, this tenant association formed an offical society under the name “The Old Y Centre for Community Organizations” and in 1982 the building was registered as a Provincial Historical Resource. Since then, it has functioned under the umbrella of the tenant organization as affordable office space for dozens of diverse grassroots and non-profit agencies, in sectors ranging from arts and culture, immigrant community associations, youth agencies, LGBTZ community resources, environmental groups, social justice advocacy and more. Recent activities in the building (including regular events, open houses, the Zinefair and membership engament with facility upgrades) have increased public awareness and excitement about the building as a community hub. In 2012, the Old Y became COMMUNITYWISE. This name change reflects a maturation of our vision and an acknowledgement of the role that the facility plays in linking all these diverse groups together, through Calgary’s past, present and future. Formerly named The Old Y (due to its’ location in the historical YMCA building) COMMUNITYWISE has rebranded to distinguish itself as a unique, community driven, collaborative space for multi-sector groups to pursue their individual activities in the context of community development and social change. Located at 223 – 12th Ave SW, in the heart of Calgary’s Beltline, COMMUNITYWISE maintains a beautiful venue that provides offices, meeting rooms, activity spaces, and both indoor and outdoor common spaces for over 50 member organizations. United by the concept of “co-location” (together in the same space), we believe that when diverse, multi-sector groups co-exist in the same location, the result is more than the sum of its parts. The centre is democratically managed with a tenant board of directors, and a small staff collective. The COMMUNITYWISE office is open from Monday to Friday for access to member organizations, public resources and events. Members have access to the building for their events, meetings and programs seven days a week, from 6am to midnight.